Web developers don’t care to validate their website in W3C standards and there are others live by it. 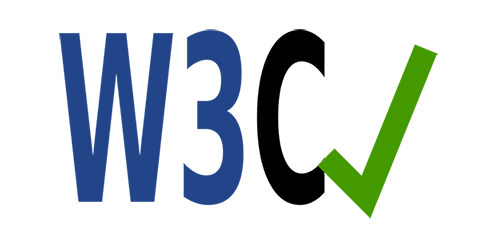 Personally, you should validate your website in W3C. It doesn’t take any more work or coding to do this. If anything it keeps your code more organized and clean while developing. Following the W3C standards will make your site more accessible to disabled users. That might be users using screen readers or other accessible tools. As W3C continues to evolve with advancing technology. The base foundation principles are the most important. The World Wide Web Consortium have put together principles to ensure growth of the web. These guidelines can help disabled users access your site correctly. There are many users that are diagnosed with a disability that uses the internet. 26% of disabled people use the internet. This shows that 1 out of 4 people visiting your site could have a disability. Most users that use the internet are sight and hearing impaired. Common instances of disability users have smaller desktop resolutions, keyboard navigation, or screen readers. These tools help them navigate and read the content on your site. This is the number one reason image alt tags and descriptions are encouraged. With the W3C Standards, coding your website with these guidelines isn't hard. Nor isn’t any more work than not following the guidelines. There are some main areas you need to consider and remember. Your <img> element need to have an "alt" tag included. An alt tag is a small description describing the image. Try to use them for a description and not just for SEO marketing. Another use for alt tags is screen readers. Screen readers can't view or describe an image. By using an alt tag, it will tell the user that this image and read your alt tag. This paints a picture for the user that can't see the image. Remember to close your image tags with a backslash />. Closing all elements is another common mistake for W3C standards. If you have a <p> <b> HTML element. You need to close the </b> element before the </p> element. Another common mistake is the <br> tag, the proper way to code a line break is <br />. Another W3C standard to watch how you're specifying your DOCTYPE, Content-Type, and <title>. Most likely you are already adding these attributes to your code. You can also check your CSS documents to see if they are W3C validated without errors. Why W3C Validate My Page? There are a lot of pages that are not W3C valid. There are even some plugins and valid coding techniques that will not pass. The number one reason to validate your page is to be aware of the principles. By validating your page you are also checking for mistakes that can be easily fixed. This can help you avoid more problems down the road with cross browser compatibility. Code that could have been easily fixed by validating your code, could run the risk of usability, security, and poor performance. Below are two tools from the W3C that you can use from free online to see how valid your code is. One is for your HTML code and another for CSS. Your will probably see errors in your code if you are using a content management system. With different modules, plug-ins, and templates can cause hierarchy problems. What you are looking for are problems that could cause major problems and can be easily fixed. The World Wide Web Consortium or W3C, a standard to how to code a site to make it accessible to disability individuals.